Digital Marketing -What is it? YOU Broadband India Ltd (0.57 million). December 2017, statistics indicate 481 million people (35% of the country’s total population) were Internet users. 4G internet is the most prevalent in India. The result of the above information is that those eager for a career in internet related business whether it is e-commerce, content marketing, social media marketing and other Web-related business services like web design, graphic design and host of others is really VERY PROMISING. Traditional marketers go about pitching their products and services by personal level in their shops or business houses. It is, thereby limiting to geographical location and is in real time. In other words, we all have direct experience of buying goods and services in our everyday life. We walk into a shop pick up the products we want, pay the cash and the deal is over. This blog is basically meant for those aspiring Digital Marketing career. There is less possibility of messages and information about the product description reaching the buyer from his/her location. Marketing efforts by way of the traditional method of billboards. posters and other print media are comparatively expensive and time-consuming. We are unable to measure how far the promotional message has reached. It is a blind effort. Product reviews are difficult to view. In Digital Marketing communication between the business house and the customer is easily possible. That means business houses can offer their products and services through the internet. The client can get instantaneous updates about them. The medium of communication is more powerful and involves social media websites, chats, apps and Email. Digital marketing campaigns can be developed quite rapidly and with digital tools, channelizing Digital Marketing campaigns is easier. It is very effective for reaching global audiences. You can focus campaign audience based on age group, locality, ethnic group and whatever segment you want to cover. This increases the effectiveness of Campaigns and ROI. There is a unique advantage of Reviews by customers. This enhances your brand image. You might have understood What is Electronic Marketing! First and foremost any person deciding Digital Marketing as a Revenue Source should bear in mind that is a Business. LIke all business either you can run the business yourself or join Digital Marketing Agency. It is entirely up to you. You think you have entrepreneurial qualities Start a digital marketing business. Or you can join some agency for a salary. There are plenty of bright openings for a capable candidate. I have personal experience with digital deepak and so I recommend them. There are many others offering digital marketing courses. You may select any one. A basic course is a must. For any profession, you need to be qualified in that trade. Now unlike other skills, you need not undergo an apprenticeship or pursue a classroom-based course. You can online almost everything related to Digital Marketing, as you start your website. It is said that digital marketing is like swimming. Unless you start you may know. As for investment you need to have a computer with internet facility. That is the minimum. Many house-wives and students venture into digital marketing quite successfully. Further down the line, you can go on investing on the website by way of themes and plugins. Sometimes outsource content and Ebooks and so on. As your needs increase, you may invest in more facilities, like imaging and video processing equipment to make it into a professional grade. To begin with, even a smart mobile phone can do the job. Any business thrives on visibility. Nowadays social media is used extensively as people are very active. If you are not in any of them, my advice would be. to join them immediately. Make it a point to join various forums. Most of them freely accept members. Learn from members and ask questions. Browse the internet for topics and study them well. Email is your first contact point with a friend and close relatives. Those who might trust your credibility. Contact them by sending them an email informing that you are in Digital Marketing. Email is the easiest to start. with. Share all your business activities as much as you do your personal activities. Facebook is one of the largest shared Social Media. There are more than 2.23 billion monthly active users. Many groups, forums operate catering to different fields of activities. Advertisement through Facebook is claimed to give better conversions because the ads are focussed. The glitch is most of the visitor come there to share personal stories. So you must make your story and project with your friends and contact. Twitter is yet another powerful social media with 328 million active users every month. You can take advantage of their Twitter Business Connect with business across the globe. Google G+ active users 111 million is also a powerful Social Media network. Digital Marketing is as much a science as an art. As far as the techniques are concerned there are many. We discuss them briefly. Your message either in the form of written, audio and video posted offered to public display via internet goes into the ocean of billions of web site in the world wide web. You have the tremendous task of standing out in the first page of Google or Bing. There many numerous techniques perfected by the pioneers in this field of digital marketing. Unless you master these methods and perfect them by your own practical application mastering SEO (search engine optimization) is difficult. Generating traffic is the biggest challenge any Digital Marketing professional faces. Of course, you can place ads in Google Adsense or facebook or any other social media. But then whether the traffic generated is justified by the cost and ROI. When a browser sees your web page it is registered as an impression. And when they click and go through content or blog or watch the video the first step is taken. 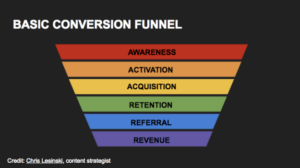 Conversion and revenue is the final stage. As you can clearly see there are these six stages before you can get revenue. Feel free to contact us for further information and totally free guidance. Your emails are for our contact purpose only. We value your privacy. Request you subscribe to our social media pages.